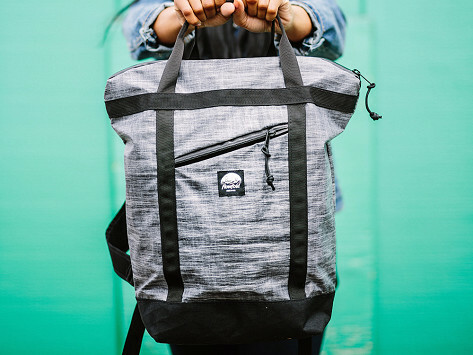 The Denizen is part tote, part backpack, and all about turning errands to adventures. Easily transition from street to trail with an internal laptop sleeve, zipper pouch at the shoulders, and a deep outer pocket for easy access. Ready for a grocery run on the bike or an overnight jaunt, the water-resistant materials make it perfect for your rain-or-shine commute. 18 Liter: 11" x 17" x 6"
Weight: 14 Liter: 0.89 lb. ; 18 Liter: 1.03 lbs. Flowfold’s light and durable carrying gear is the perfect choice for those who commute and venture outdoors.